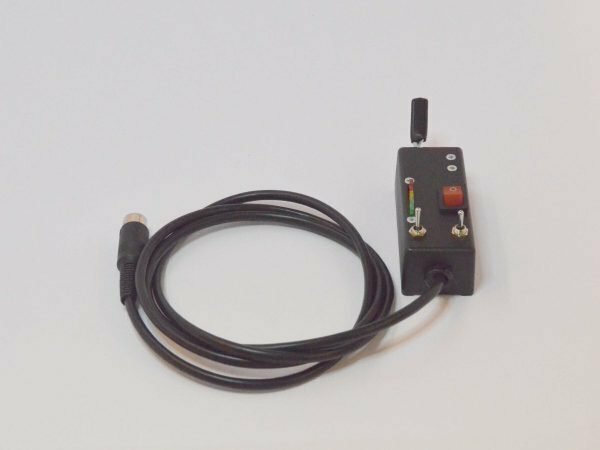 Home / Controllers / Pro-120: Reversing, 24V, 120A. The Pro-120 Mk2 is the culmination of the analogue Pro and NCC series development. 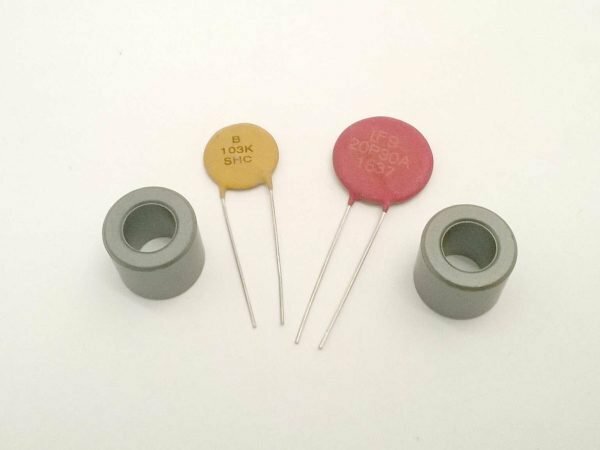 It is designed principally for 24V operation but variants for 12V, 36V, and 48V have been produced. The Pro-120 has been fitted to a multitude of applications including, mobility scooters, golf buggies, miniature railways, childrens electric cars, floor cleaners, caravan shifters and vehicle loaders. Adjustable acceleration and deceleration ramps. Gain adjustment [for setting top speed]. Selectable dual ramp or pre-select reverse switching for a smooth transition from forward to reverse. Expansion connector for double-heading locomotives. Peak current 120A. 1 minute current 80A. Continuous current 60A [heatsink dependant]. 3 and 6 way IDC control connectors are included. With Dual channel Interface as used in Robots. With pushbuttons for forward and reverse. Wiring for a model loco with horn relay board etc. 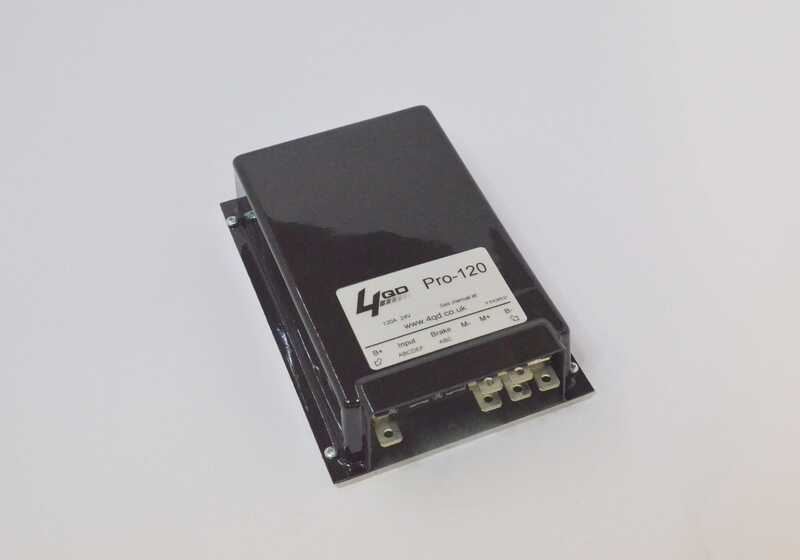 We have a page here that lists issues that we have found with the Pro-120. 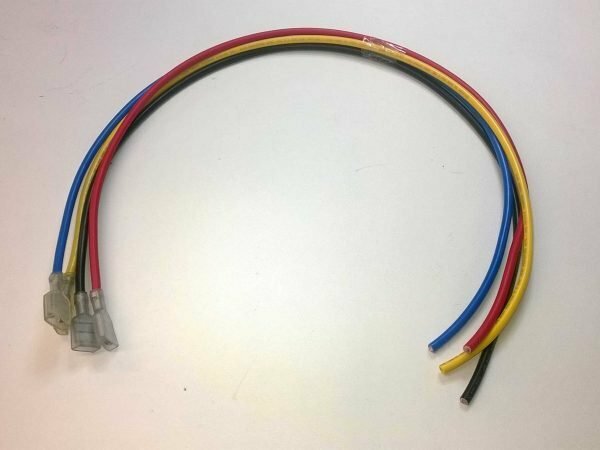 A 12v version is possible subject to a minimum order quantity , but see our thoughts on 12v systems. For double heading these controllers an optional expansion connector must be fitted. This can be ordered factory fitted or instructions for user-retrofitting are available. Wiring instructions for this expansion connector are in the instruction manual. A relay board to control lights and horns etc. View of cased version of controller. This is mounted on a Base of 4mm thick aluminium with a vacuum formed cover. View of uncased (bare board version) controller. Showing mounting and heasinking arrangement.